The Auralex SheetBlok Sound Barrier is a dense, limp-mass vinyl material that's about 6dB more effective than a sheet of solid lead at stopping sound transmission. SheetBlok acts as a thin, dense sound barrier layer in walls, ceilings, or floors. It's most effective when used as one component of a multi-layered construction scheme. Auralex SheetBlok helps in soundproofing floors and walls and, while it's not normally considered a finishing product per se, it can in some cases be your last layer if you make sure to carefully install it and use trim strips over its seams. 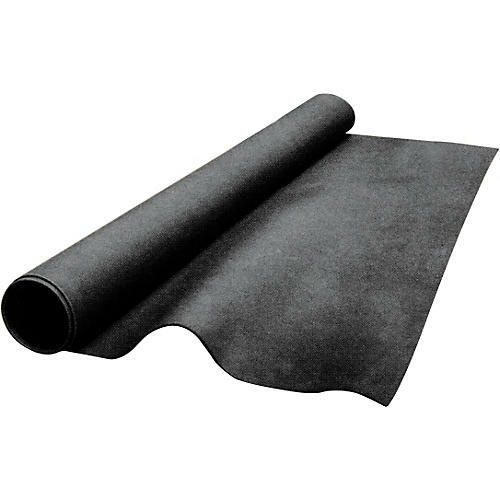 Auralex SheetBlok can also be used to wrap HVAC ducting, as a vent noise blocker, as a pipe noise insulator, or under carpet/carpet pad. It holds up against harsh environments and cuts easily with a utility knife or scissors. Famous studio designers buy SheetBlok Sound Barrier repeatedly.